Dave Eggers' Zeitoun is the winner of the American Book Award and the LA Times Book Award. In August 2005, as Hurricane Katrina blew in, the city of New Orleans has been abandoned by most citizens. But resident Abdulrahman Zeitoun, though his wife and family had gone, refused to leave. For days he traversed an apocalyptic landscape of flooded streets by canoe. But eventually he came to the attention of those ‘guarding’ this drowned city. Only then did Zeitoun’s nightmare really begin. 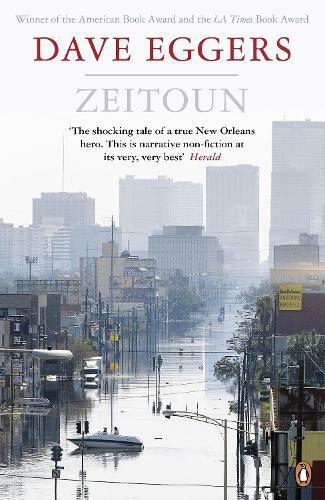 Zeitoun is the powerful, ultimately uplifting true story of one man’s courage when confronted with an awesome force of nature followed by more troubling human oppression.